This is one of our most popular games – the Box & Balls. We have sold stacks and it is really fun. It is also something you can play with anybody – and age and experience may not win here. So when the snow is really piling up outside*, it is the perfect game for all the family. As demo’d here. How it works is that you get 8 boxes and 8 balls. Each box has a challenge on it. You set up the boxes and then see if you can bounce the balls into the right box. Which is a bit trickier than it sounds and requires a certain level of skill. But it is very satisfying when you get it right. So when it snows over Easter, you have been to church and you have found all the Easter Eggs, it will be time to get out the Box & Balls. Fun is guaranteed! *Extra point for spotting the rock reference. If you would like to continue to receive Wicked Uncle emails to tell you about cool stuff and remind you about birthdays, can you please click the Big Smiley Rainbow Button just here – we will do the rest. What swims and starts with a T? 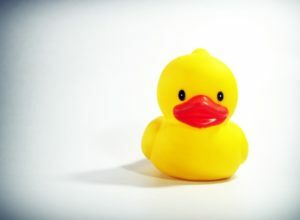 Two ducks. What is a frog’s favourite game ? Croak-et! How do you make a hot dog stand? Take its chair away. 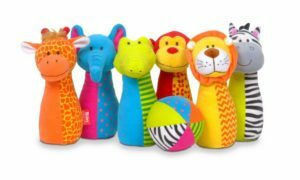 The Best Bath Toys For Kids Who Hate Bath Time! 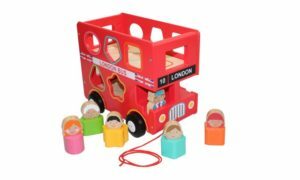 Wonderful Wooden Toys for Toddlers – Not Plastic, Fantastic! Wicked Uncle – 2017 Highlights.